Flame Safe's experienced, qualified staff offers technical support to assist our Oklahoma City customers in selecting the Flame Safe product necessary to meet fire safety and building code requirements. Spanning four decades, Flame Safe is the foremost leader in the fire retardant industry nationally and internationally. The Flame Safe companies manufacture a complete line of aqueous based, colorless, non-toxic, economical, and environmentally friendly flame retardant coatings, flame retardant sprays and flame retardant penetrants. 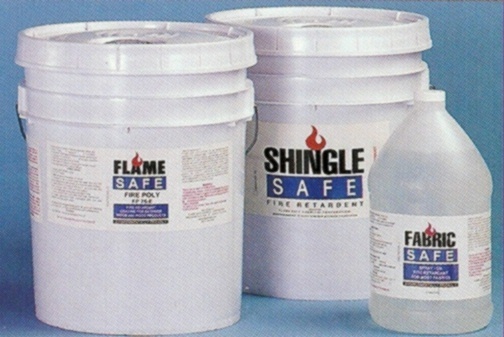 Flame Safe has both interior and exterior fire protection coatings, penetrants, and fire retardant sprays for wood, wood products, lumber, plywood, wood shingles, timbers, fiberglass, plastics, fabric, thatch, thatching, tiki huts, paper, and cardboard. The Fire Buster™ is a fire retardant treated fabric available for commercial, industrial and residential use. Flame Safe Wood Products division manufactures exterior and interior vacuum pressure impregnated flame retardant treated lumber, flame retardant plywood, flame retardant timber, and fire retardant wood specialties and millwork. manufactures interior and exterior fire retardant, vacuum pressure impregnated, kiln dried after treatment flame Retardant wood products, plywood, lumber, timbers, moldings, trim, and millwork. 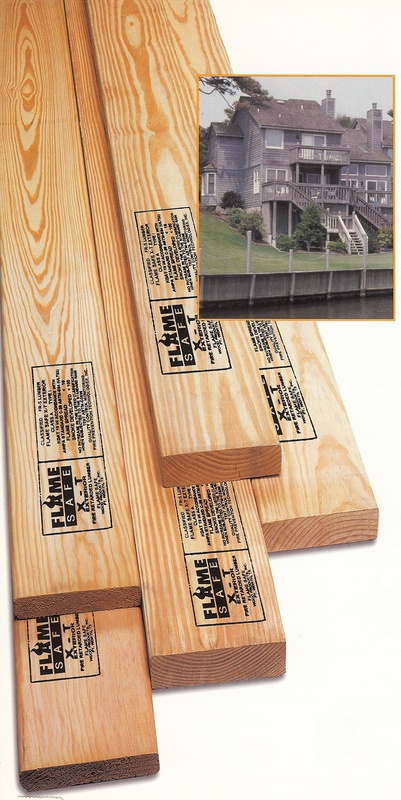 Flame Safe’s flame retardant treated wood is a low cost, effective building material for homes, apartments, manufactured housing, hotels, restaurants, decks, docks, commercial, industrial, and institutional buildings. Ideal for wood decking, siding and fencing. FLAME SAFE CHEMICAL manufactures a complete line of fireproof spray coatings and fire retardant penetrants that meet or exceed industry’s fireproofing standards. The effectiveness of Flame Safe’s fire retardant products are well documented. Uniquely, FLAME SAFE’s fireproofing spray coatings and penetrants are easily applied, colorless, non-toxic, environmentally safe, and are aqueous based fire retardant chemicals. Most fireproofing products presently on the market do not have testing by accredited third party testing agencies to back their claims. Flame Safe’s fire retardant spray coatings and flame retardant products have been tested by accredited third party testing agencies such as Underwriters Laboratories, Underwriters Laboratories Canada, Southwest Research Institute, United States Testing, Western Fire Center, Forestry Commission of New South Wales Australia, European Institute for Fire Research, United States Forestry Department and Maxim Technology.